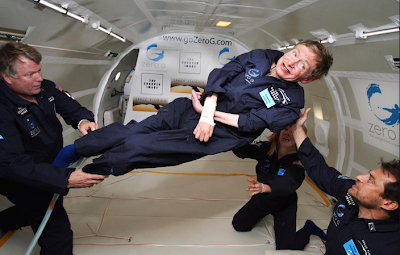 Coolest picture of the week: Astrophysicist and bestselling science author Stephen Hawking, who is normally wheelchair-bound, floats on board a zero-gravity jet on Thursday, April 26th. Photo: AP/Zero Gravity Corp. I was just so thrilled that he could do this..look at him, like a little kid! !